Obesity in urban India is becoming a major public health problem largely because of the changing lifestyles and inadequate knowledge on nutrition and health. These days people try everything from fad diets to weight control pills in order to lose weight, but to no avail. Efforts to lose weight at the weight loss clinics are also temporary. The Scientific Way to managing Obesity is meant for those who wish to keep their weight under control and remain healthy, for those who want to run weight loss programs and for all those academicians who to update themselves with the latest scientific principles of weight management. It also gives guidance on the type of foods that can be consumed to achieve targeted weight loss. 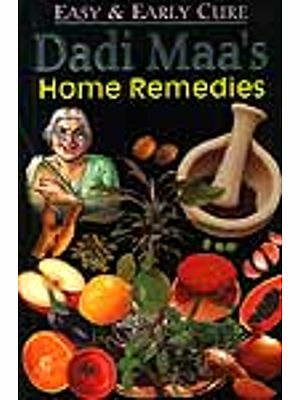 The readers will be tempted to try out the exhausitive list of therapeutic recipes given in the book. Dr. Mini Sheth, the primary author of this book has a Ph D degree in foods and Nutrition of the same university: After completing her master's in Dietetics and Institution Management in 1985. She qualified as a registered dietician and developed an expertise in the field of dietetics. She is presently guiding Ph D students in the fields of pesticide use and their residues in foods and pre and probiotics microbial quality of street foods and raw vegetables. She has written many scientific papers for journals of national and international repute. She is the recipient of the best research article award' for her paper entitled "Hazard analysis and critical control point of weaning foods" in the Indian journal of Pediatrics. Nirali Shah is presently working as a dietician in KGP Children and SGP Women's mult-speciality hospital at Vadodara. She obtained her Bachelor of Science (Foods & Nutrition) in 2002 and Postgraduate Diploma in Health Management in 2003 from M.S. University of Baroda. Currently she is appearing for the final year of MSc Degree in Dietetics and Food Service Management from IGNOU. There is growing concern for the rapidly increasing number of overweight and obese people world over. This is because the condition is positively correlated world over. This is because the condition is positively correlated with a number of disorders which may result in a shorter life span or may affect the quality of life in the long run. In order to be a healthy and useful citizen, it is essential to acquire knowledge regarding the problem of obesity, its monitoring, assessment and management which is the corner stone for tackling the entire issue. As more and more studies confirm the importance of proper nutrition in the management of obesity and associated disorders, the need arises for a current, accessible reference in this area. This book is an excellent example of efforts to present the available relevant current literature on obesity and its management for nutritional Professionals, dieticians, physicians, medical and nursing students. 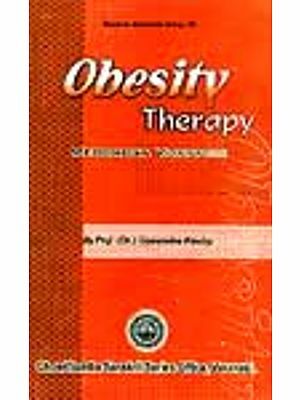 In its nine chapters, the book presents a clear and systematic account of current concepts of obesity, its dietary management and issues related to eating disorders arising out etiological aspects of obesity, measurement of obesity, its complications and the preventive and management aspects of obesity. The book also gives additional information on eating disorders, obstacles in weight loss, fad diets and myths. Salient features of this book include wide ranging discussion on the problems related to obesity and approaches to handle them in the light of the current scenario. It is rich with a lot of basic information that can be used as a ready reckoner for all interested in therapeutic nutrition. At the end, the book also presents a large number of sample menu with modifications in common food preparations. With all these features there is no doubt that this publication would be an extremely useful reference material for students of nutrition, dietetics and paramedical courses. The book may also attract the attention of the common public as the content is of general interest. I compliment the authors for their unstinted efforts in bringing out this book that contains a wealth of useful information in a brief and concise manner. This book is written out of concern for all those who care for good health especially for those who desire to maintain a normal body weight and wish to lose weight. Obesity is a complex health weight and wish to lose weight. Obesity is a complex health problem and unless it is understood well, its management may not always lead to its success. There is no doubt that overweight / obesity is positively correlated with a number of health related disorders and one needs to maintain normal body weight if a disease free life is desired. Having a physically fit body is certainly not an issue that is based on impulses and it does not happen to anyone by chance. A conscious and persistent effort on the part of the individual to maintain a normal body weight through appropriate knowledge of health foods, their amounts and a regular exercise programme are the hallmarks of a healthy life. 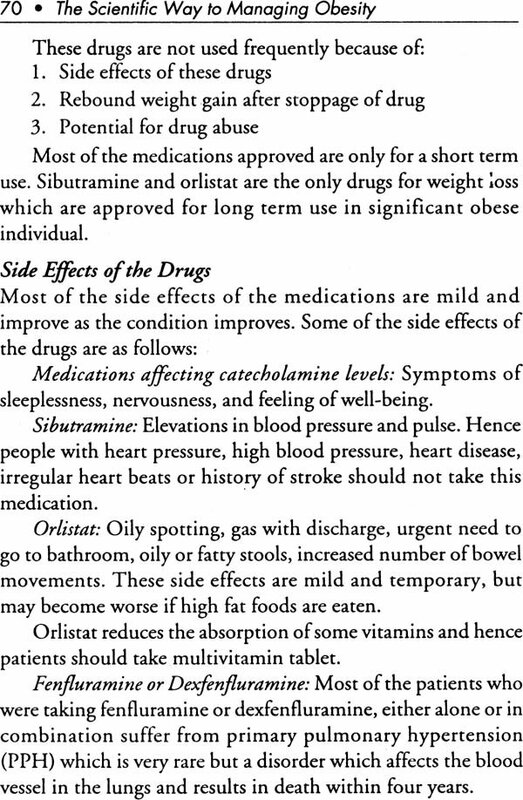 Why is adherence to a weight loss diet extremely difficult for some and not so difficult for others? The chapters on causes of obesity, its theories and types will answer such questions and throw light on the mechanism of appetite control. Selection of appropriate tool to measure obesity is also an important component of a good weight loss programme. A wide variety of techniques have been elaborately discussed in this book. Body weight reduction has been a challenge for all those who desire to lose weight either from a health point of view or from a cosmetic point of view. One can see a mad rush at the so called weight loss clinics that promise for a rapid weight loss. Individuals enrolled at such clinics do succeed initially only to return to their initial body weights. Such individuals also try out other unhealthy methods of weight loss that lead them into various types of eating disorders and health related problems. The book has also elaborated on the various eating disorders commonly experienced in all age groups. An individual approach to management of obesity seems to be the keyword in achieving success. A cooperative client and a determined dietician will successfully reach the targeted goal. Obesity is a chronic condition that arises out of excess accumulation of body fat and in most cases giving rise to chronic degenerative of body fat and in most cases giving rise to chronic degenerative diseases such as diabetes mellitus, hyperlipidemia, cardiovascular problems, kidney and liver diseases, osteoarthritis and urinary stress incontinence. Certain types of cancers also have its etiology in obesity. In addition to health factors, others potential consequences include psychological problems such as low self – esteem, social withdrawal, depression and eating disorders. Statistics show that obesity is assuming epidemic proportions globally, both in developed and developing countries, amongst adults as well as children (Table I (a,b), 2 & 3) . Unlike the western countries especially USA and England where there is tremendous increase in the Prevalence of obesity in the past decade (25-30%), in India and other Asian countries the prevalence though on rise is low comparatively. The prevalence of childhood obesity in India ranges from 3.9% in New Delhi to 8.4% in Meerut (Figure la) whereas in adults the prevalence of obesity ranges from a low of 3.9% in Haryana to 17% in Mysore women (Figure la). This data is however not collected at one point using uniform methods. The origin of obesity lies in the family lifestyle factors imposed on us by technological advancements. In the developing countries like Asia, the problem of obesity is multifactorial. It is associated with increasing urbanisation, with dramatic dramatic changes in the trends of dietary consumption patterns and lifestyles, particularly in terms of reduced physical activity. Most working women are unable to meet the demands of the family and tend to purchase the ready to eat foods available over the counters. Frequent consumption of ready to eat meals with high calorie content result in "Fat Families". Although the causes of obesity may vary from genetics to lifestyle factors, it ultimately results from excess energy intake as against energy output. It is believed that intake of 200 kcal daily beyond the normal requirement for the said individual can result in weight gain of 15kg in 2 years. Weight gain is a very gradual process and if no brakes are put, one can become morbidly obese and its reverse is certainly not an easy task. Physiologically obesity in adults is a consequence of increase in the size of the adipocytes whereas in children there is a 2-4 fold increase in the number of adipocytes. Sustainable management of obesity should be a long term process based on correct diagnosis of the causes of obesity in an individual, although a firm determination and cooperation on the part of the subject remains the hallmark of the treatment. Sprawling weight – reducing clinics all over the urban cities that promise a rapid weight reduction fail to satisfy many clients in the long run as most of these programmes do not include a balanced low calorie diet. Often they aim at rapid weight reduction that does not have a strong base in the principles of weight loss management. The individual though may lose weight rapidly, sustainability is rarely seen. Depending upon the individual case history, a management strategy needs to be worked out that may comprise drug therapy, surgery, behaviour modification along with nutrition education programme. In order to prevent the population from becoming morbidly obese, the government and private institutions should take immediate steps to create awareness in the population. A regular health check-up programme should be organised and educational programme should be conducted for eating health foods. Mandatory nutritional labelling may also help the subjects choosing the right kinds of foods to suit their calorie needs. In many institutions where food is catered to the employees, supervision by dietician form healthy food preparation and serving should be encouraged. Scientists are documenting the global "fat" problem from China to Australia to Egypt to remote islands of the Pacific and beyond. In 1995, there were an estimated 200 million obese adults and 22 million obese children worldwide. By 2000, the number had skyrocketed to more than 300 million. In developing countries, it is now estimated that more than 115 million people suffer from obesity related problems, including type 2 diabetes, heart disease and obesity-related cancers. According to the National Institutes of Health, in the US alone, child obesity has increased by more than I per cent per year over the past decade with an estimated $99.2 billion in future health care costs. We're looking at a ticking time bomb of chronic disease," said Le Velle, noting that a recent World Health Organization study found that obesity is now estimated to have increased 50 per cent over the past seven to ten years. The Prevalence of overweight and obesity generally increases with advancing age, then starts to decline among people over 60. This because of either the onset of certain chronic disease or due to insufficient intake of food due to the problems of mastication functions due to advancing age. Various theories have been postulated for obesity to have its basis. The next chapter will highlight most of them. by Dr. D.R. Gala Dr. Dhiren Gala& Dr. Sanjay Gala.